Amazon Studios stands to catch up to Netflix with its increasing range of quality original content online. Perhaps “Bosch” can help them out on that front. Based on the best-selling novel series by Michael Connelly, “Bosch” finds a revered LAPD detective (Titus Welliver) on the brink of unraveling his career and his personal life after fatally shooting a suspect under custody during a field investigation gone wrong. 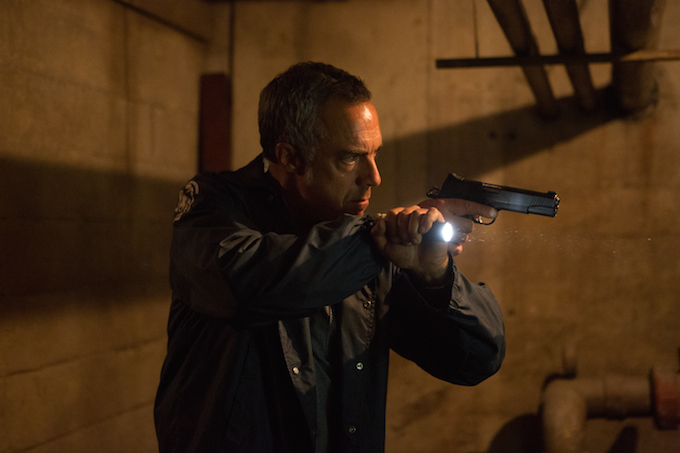 Bosch tries to salvage his reputation, even as new evidence uncovered from a cold case dredges up past demons that threaten to overwhelm him. Featuring impressive LA-based location shooting and snippets of what’s sure to be a thrilling collection of performances (the supporting cast includes Annie Wershing (“24”), Jamie Hector (“The Wire”) and Lance Reddick (also “The Wire”), the “Bosch” trailer promises a dark look at Los Angeles but a bright future for Amazon. “Bosch” will be available for streaming starting February 13 on Amazon Prime.